Sterling silver cross necklace with a hidden hoop/bale to reveal the simplicity of the plain cross pendant. The Gospel is simple, so should your cross. Simply put your trust in the finished, redemptive work of Jesus Christ on the cross by faith alone! For by grace are ye saved through faith; and that not of yourselves: it is the gift of God: not of works, lest any man should boast" (Ephesians 2:8-9). 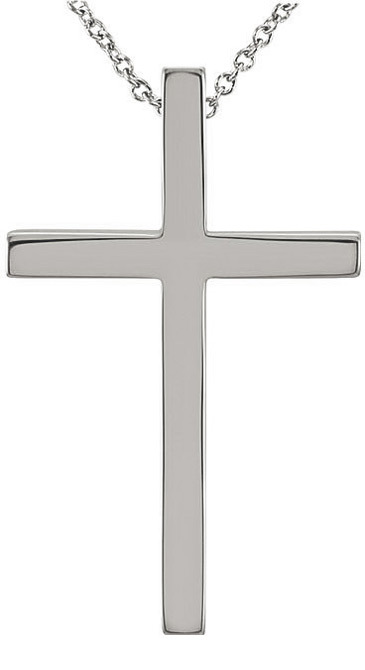 The cross pendant measures 0.85" tall x 1/2" wide (21.75mm x 13.5mm). The necklace comes in 16 - 24". 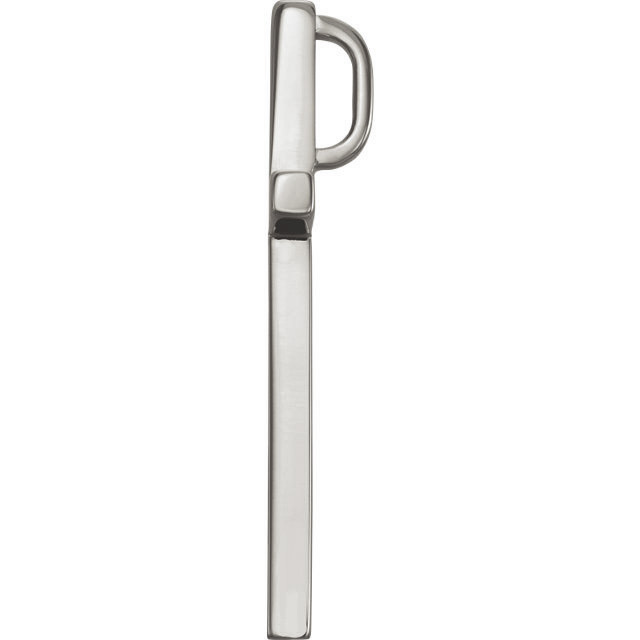 This cross necklace is also available in 14k white gold or yellow gold, shown below. We guarantee our Sterling Silver Cross Necklace with Hidden Hoop to be high quality, authentic jewelry, as described above.